30mar(mar 30)8:00 pm(mar 30)8:00 pmThe Stables8:00 pm - 10:30 pm The Bourne, Hastings, East Sussex, TN34 3BDSold Out! Born in Valencia in 1984, he began studying dance at 9 years of age with teachers Martín Vargas and Jose Porcel. In late 1995 he joined the National Ballet of Spain in their production of ‘Medea’ sharing the stage with Lola Greco, Antonio Marquez and Luis Ortega among others. He moved to Madrid in 2001 to study and perform with with Manuel Reyes, Domingo Ortega and La China and in 2004 he joined the company of Domingo Ortega collaborating on the show ‘Orpheus’ on tour in Japan & USA. In 2006 he joined the New Spanish Ballet Company directed by Miguel Ángel Rojas and Carlos Rodriguez touring Europe, Asia and the Americas and including a performance at the Royal Festival Hall in London.Since 2007 he has performed with many dancers and choreographers such as Rafael Aguilar for the shows ‘Carmen’ and ‘Bolero Flamenco, and as a soloist with Aida Gomez. In 2013 he won first prize at the III International Dance Festival in Almería and has recently formed his own company in Madrid which has just opened its second show 3DEUNO. Known for over twenty years as a formidably talented singer dedicated to the purest flamenco, Antonio El Pola has grown to fill the greatest stages of the world, performing with legends such as Paco de Lucia, Juan El Camas, Concha Vargas, Antonio Moya, Juan Castor, Juana Amaya, Javier Cruz, Joselito Fernandez, Soraya Clavijo, Miguel “El Funi,” Manuel de Anustias, José de la Buena, Guillermo Mansano, Maria Pena, Jesus de la Frasquita, brothers Paco and Juan del Gastor, Luis Peña, and Javier Heredia. To name but a few. A furiously effervescent dancer of unique power, imagination and grace. A gypsy from Arcos de la Frontera, he shared the stage with artists such as Camarón de la Isla, Paco Toronjo, Aurora Vargas, Chiquetete, Turronero and Chano Lobato from the age of 15. After relocating to Madrid he worked with La Tati, Rafael Amargo, Cristóbal Reyes and Juan Andrés Maya and has recently founded his own dance company – Compañía Titi Flores. Known for his extensive knowledge of flamenco history, his musical ability and his dedication to the ‘pure’ art form he has close ties with patriarchs of the Andalusian flamenco community. Born in the small village of Cañada Rosal in the province of Sevilla, his exposure to flamenco started as a small child, when his father took him to the local peñas (flamenco venues). By age of 10, El Pola was playing guitar and singing traditional flamenco. Moving to Sevilla in 2001, he toured with Concha Vargas, Antonio Moya, and Inés Bacan and sang in La Carbonería alongside Gaspar de Utrera and Juan del Gastor. He has also worked with Juana Amaya, Joselito Fernandez, Miguel ‘El Funi’and brothers Paco and Juan del Gastor. In the summer of 2003 he wrote and recorded ‘Tierra de Esperanza’ accompanied by Antonio Moya on guitar and was commissioned by the University of Sevilla to present his work throughout Andalucía, sharing the stage with Ines Bacan and Gaspar de Utrera. Since then, he has been touring Japan, Ecuador, Finland, and the United States. He works frequently with Juan del Gastor in Sevilla, and at El Corral de la Morería, Cardamomo, and other top Madrid venues. Featuring this month’s guests el Halcon & Jasmin Villalobos. Flamenco Express presents another cargo of raw, heart-wrenching flamenco. Featuring ‘sizzling soloist’ La Joaquina, guitar virtuoso Chris Clavo and the custodian of flamenco vocal heritage Antonio el Pola. Plus the power and grace of Alejandro Molinero and a huge welcome to Ana Latorre. A formidable addition to the Latorre lineage. Both highly respected award-winning innovative young dancers who have shown the direction of the flamenco journey. • ‘La Consagración’ by Antonio Ruz and Antonio Canales, with Estévez & Paños. • ‘Duende’ at the Jardines del Generalife, directed by Manuel Liñán and Fuensanta ‘La Moneta’. • ‘FATUM’ by Shoji Kojima, choreographed by Javier Latorre. • ‘Alma Minera’, with Ballet Flamenco de las Minas, at the 54th Festival Internacional del Cante de las Minas. ‘A Este Chino no le Canto’, by Shoji Kojima, choreographed by Javier Latorre. Premiered at the Jerez Festival 2016. Regular guest artist at Villa Rosa Madrid, Casa Patas, and other prestigious tablao and theatres. ‘Vamo All’. 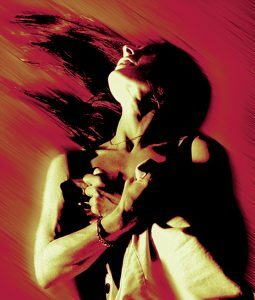 Compaña Internacional de Flamenco – 22nd Festival de Jerez. Teatro Villamarta, Jerez de la Frontera. A dancer of fiery physicality and imagination and competition-winner for choreography at Real Conservatorio Alejandro has many achievements including: resident artist with Ballet National de Espaňa; guest soloist for Compania de Carmen Cantero and Javier Latorre’s production ‘Amores de Solana’; partner with Concha Jareňo in Casa Patas in Madrid; and guest choreogragher and teacher for Teal Conservatorio. Also a regular at the prestigious Jerez Festival. The Red Hedgehog, Fri, Jul 21, Featuring Alejandro Molinero & Nati de Vallecas. The Brunswick, Thu, Jul, Featuring Alejandro Molinero & Nati de Vallecas. The Brunswick, Thu, Oct 20, 2016 @ 8:00 PM, Featuring Alejandro Molinero & Antonio ‘El Pola’. Upstairs at the Ritzy, Oct 17, Featuring Alejandro Molinero & Antonio ‘El Pola’. St. Ethelburgas, Fri, Oct 14, Featuring Alejandro Molinero & Antonio ‘El Pola’. Trinity Arts Centre, Tunbridge Wells, Thu, Oct 13, Featuring Alejandro Molinero & Antonio ‘El Pola’. The Bussey Building Thursday, September 10 – Featuring Jesus Olmedo & Antonio el Pola. The Forge Thursday, October 8 – Featuring Adrián Brenes & Pedro Sanz. The Horsebridge Centre Friday, October 9 – Featuring Adrián Brenes & Pedro Sanz. 07.07.2012 Jerwood Space, Ipswich Dance. 06.07.2012 Jerwood Space, Ipswich Dance. 08.04.09 The Theatre, Chipping Norton. 04.02.06 New Cut Arts Centre, Halesworth, Suffolk. 24.02.06 Arts Depot, Finchley, London.